Wedding Flowers? You Can Grow That! 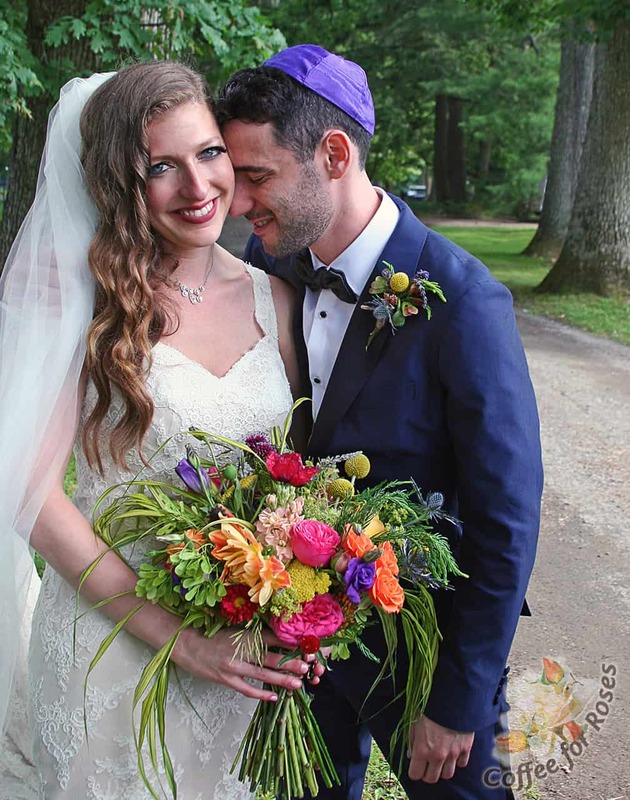 I am a tad late with my four-words-on-the-Fourth this month because I was, on the Fourth of July, doing the flowers for a wedding. 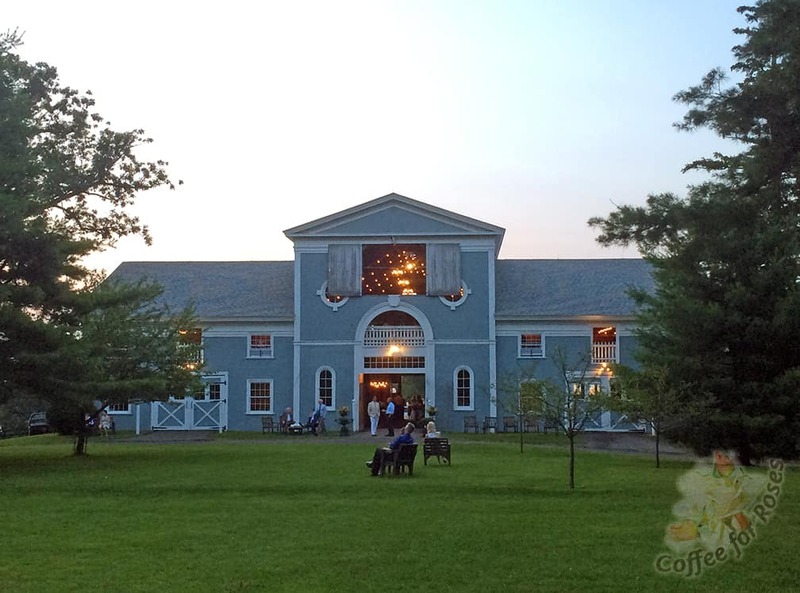 The event was at The Hill, in Columbia County, NY. Although it rained all morning the weather cleared one hour before the wedding so it was held outside, and the reception was in this barn. 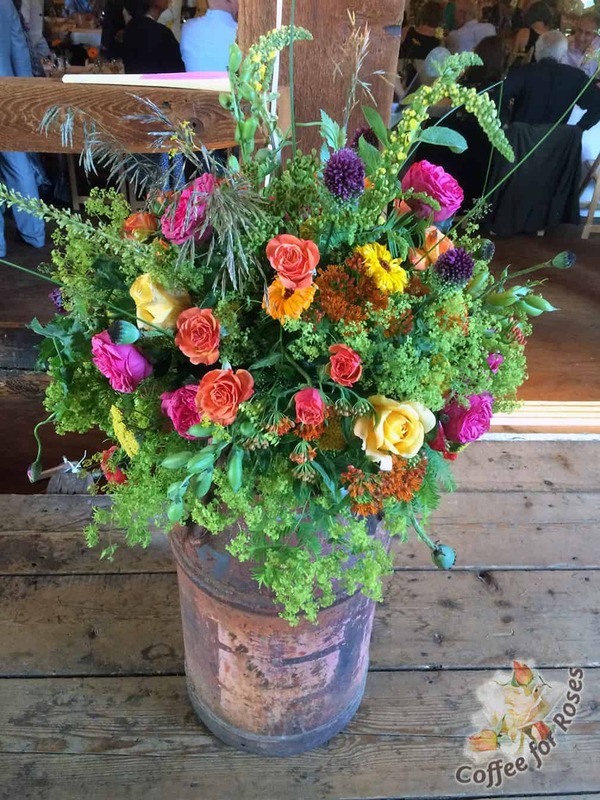 The bride wanted country-style flowers in keeping with this lovely rural setting, and just over 2/3 of them were locally grown. 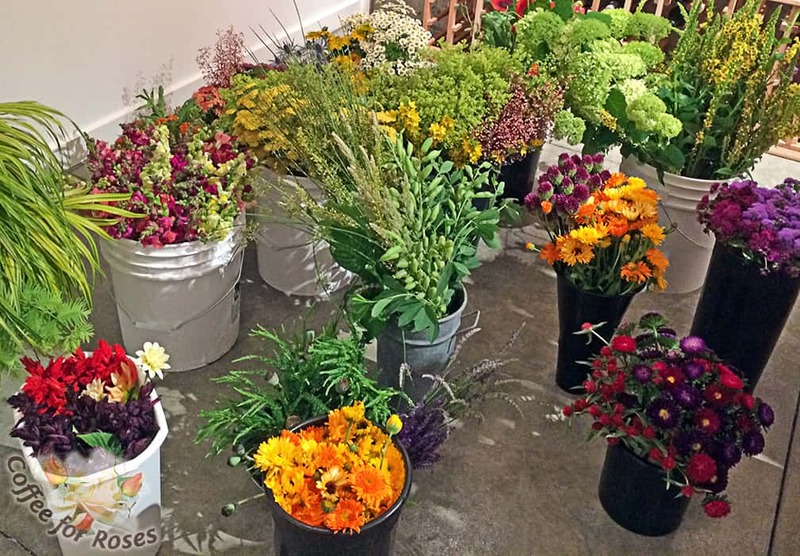 I picked many from my own gardens, see below, and then went to Flower Blossom Farm, in Ghent, where Kim grows many wonderful varieties of cut flowers. 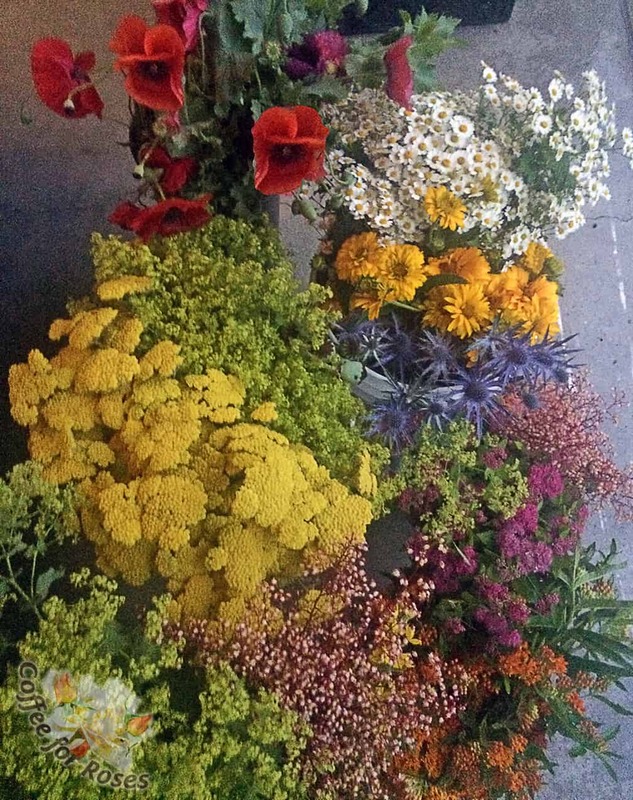 Here are some of the flowers I picked from my gardens, top to bottom: corn poppies, feverfew, heliopsis, lady’s mantle, yarrow, blue sea holly, heuchera, spirea, and butterfly weed. Not shown in this photo are the greens and Annabelle hydrangeas. At Flower Blossom Farm in Ghent I bought salvia, calendula, allium, snapdragons, ageratum, gomphrena, and matsuamoto asters. 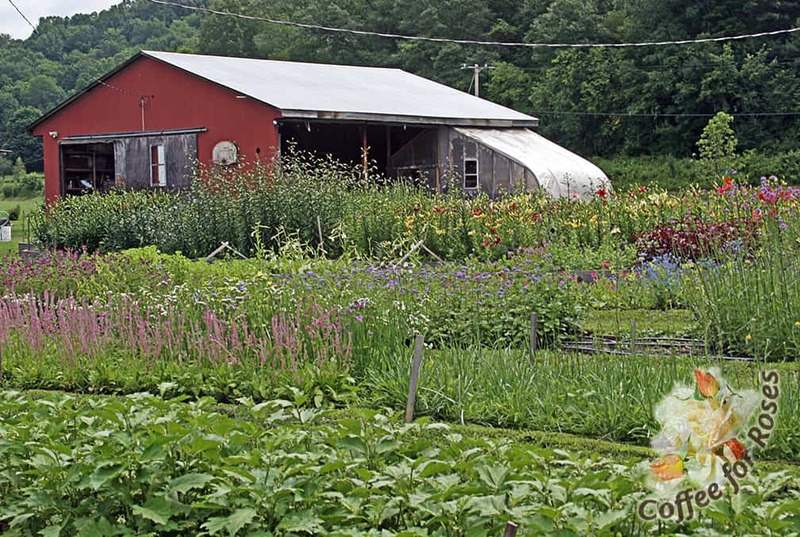 Flower Blossom Farm is located on Route 9 in Ghent, NY. I used oriental poppy and baptisia seed pods, along with several grasses. Here the flowers have been put in fresh water, ready to arrange. 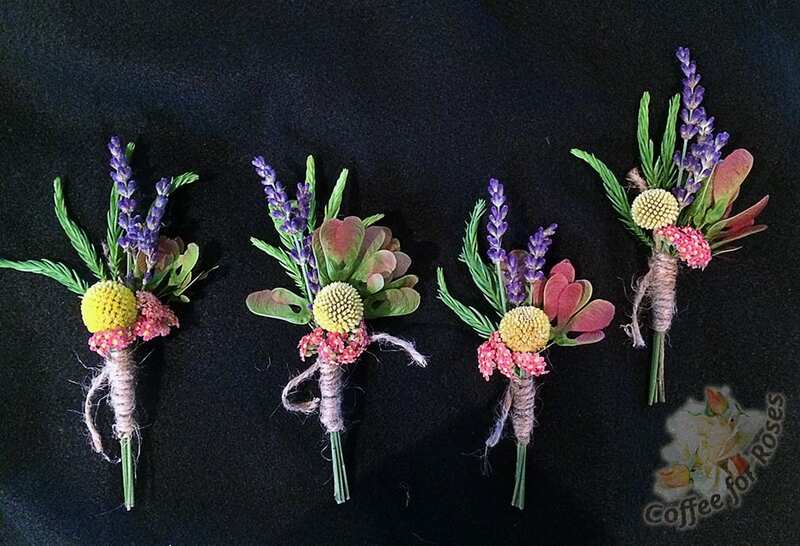 I made the boutonnieres first. 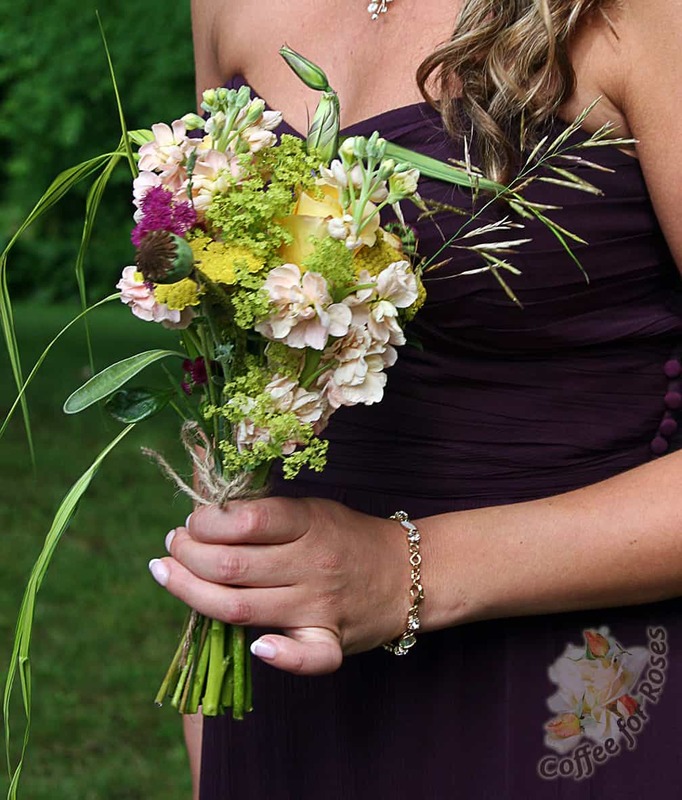 Because the bride and groom loved the whimsical billy-ball flowers, I ordered those, some roses, stock and lisianthus from an on-line flower source. Other than the billy-balls, these are all local flowers: cryptomeria greens, lavender, yarrow and maple seeds from my garden. I put together a few arrangements before the wedding day too. 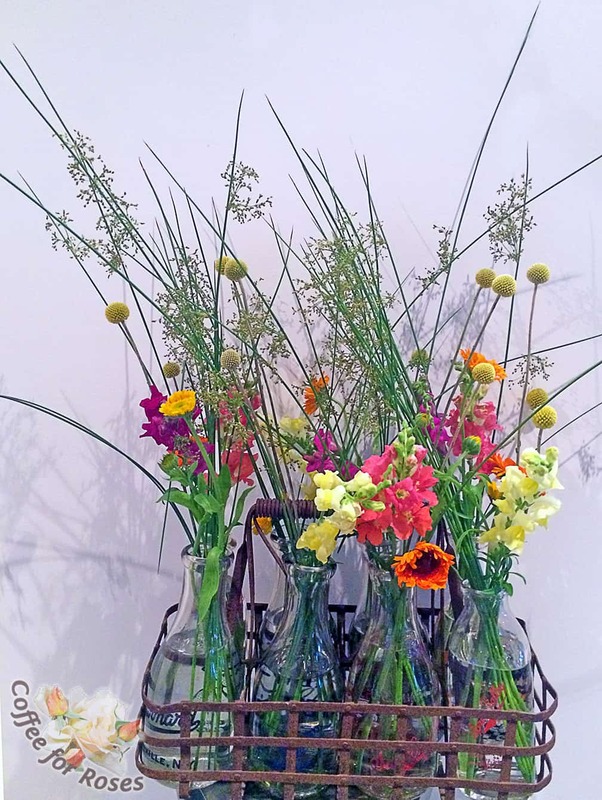 I love how the rush (Juncus) looks in this milk-bottle display with the calendula, snapdragons and billy balls. The day before the wedding I made the 8 bridesmaid’s bouquets. And the day of the wedding the milk-can arrangements for the ceremony were assembled. This is one that was up by the chuppah. After the ceremony the milk can arrangements were carried into the barn for the reception. 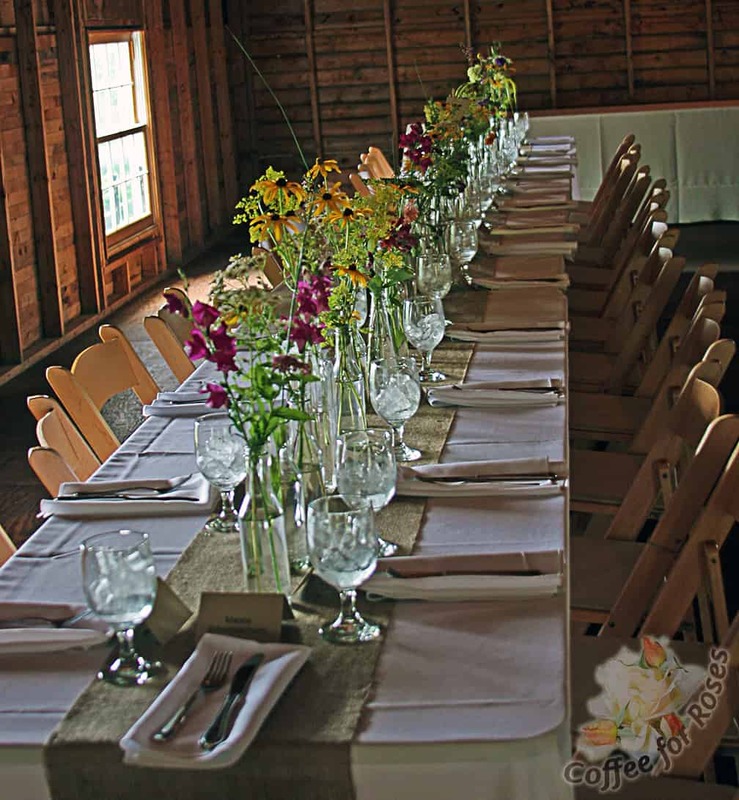 I had a great team of volunteers who helped fill the 300 assorted clear glass bottles with groupings of flowers for the tables. 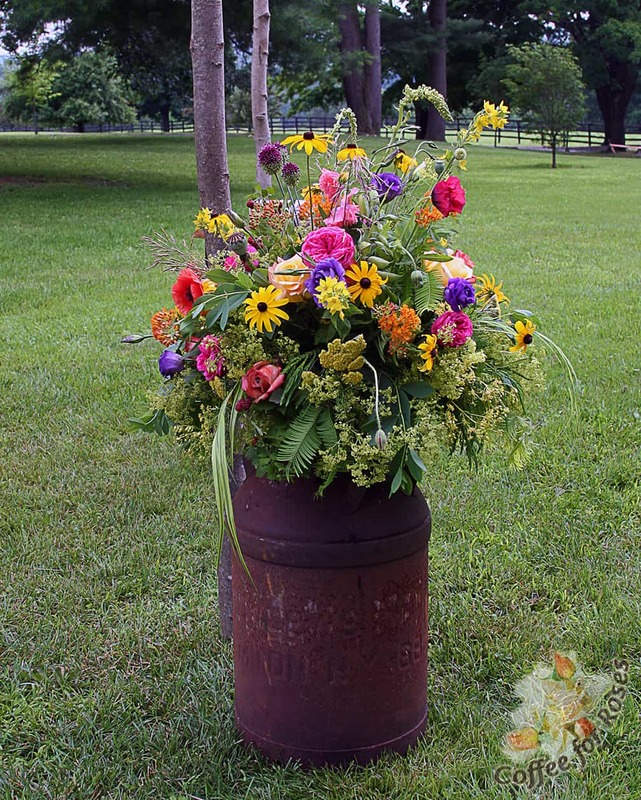 If you’re looking for a place to get local flowers for an event, first look to your own gardens and then add to what is in your landscape. Start with the Slow Flowers website.